This easy step-by-step method emphasizes correct playing habits and note reading through interval recognition. This easy step-by-step method emphasizes correct playing habits and note reading through interval recognition. 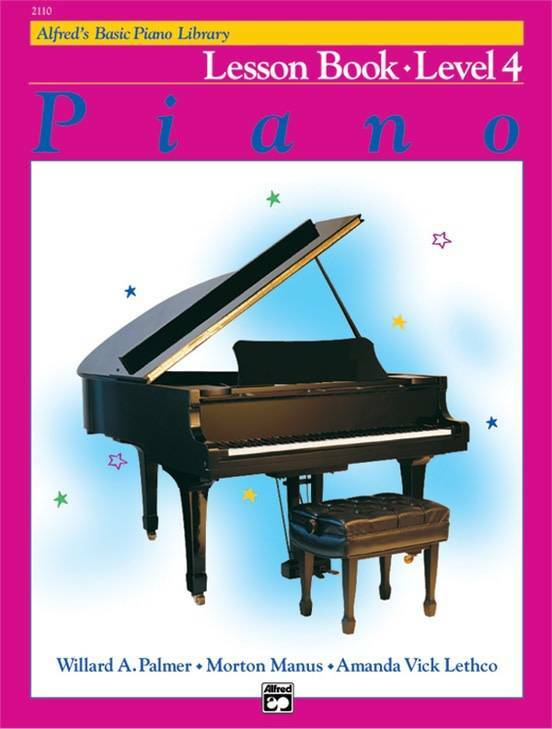 Lesson Book 4 concepts include: tarantellas; eighth note triplets; arpeggiated chords; first and second inversion triads in C; triads in all positions; major scales in parallel motion; two-part writing; seventh chords and inversions of seventh chords; E harmonic minor scale in contrary motion; primary chords in E minor; sixteenth notes; dotted eighth notes; primary chords in B-flat Major and G Minor; repeated-note warm-ups; and harmonic minor scales in parallel motion.